I previously reviewed Episode One: The Hangman and Episode Two: The Wise Monkey. 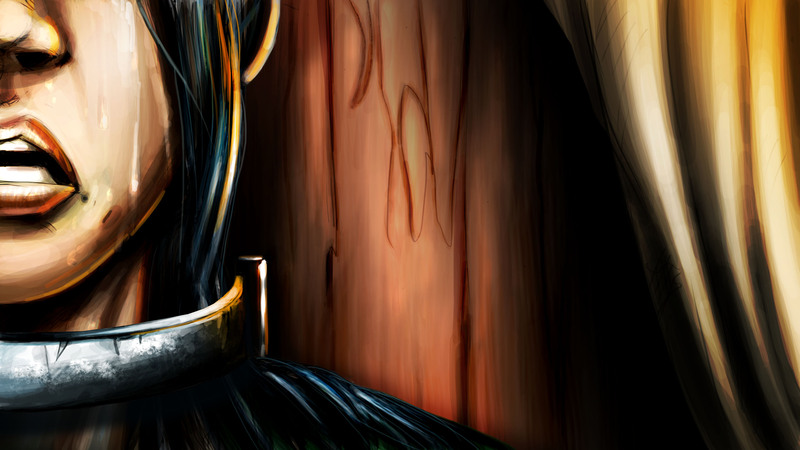 The Cognition story continues with The Oracle, and I will not spoil this third episode at all. However, it would be difficult to discuss this episode without using the other two, so there are spoilers for them. Go out and grab them! You won’t regret it. There’s a recap video for The Hangman here. The Oracle begins with a recap of both The Hangman and The Wise Monkey. I wouldn’t have minded if this recap had been a little longer (the gap between my playing of the first two episodes was short; this gap was longer), but it does its job, and your memory will be jogged enough by it so you can continue relatively smoothly. The story picks up at the hospital with Sully, who is in stable condition after being mutilated by The Wise Monkey, who we found out was mostly Joey at the end of episode two. However, the big twist was that Joey was also a victim – of the same person who was leaving clues behind at the crime scenes in episode one. Erica’s father stays with Sully while she answers a call from John, telling her to not follow him to where he’s going. But we know Erica better than that. After you trick your way into the building that John went to, you do not leave the area for the entirety of the episode. By the end of The Oracle, we know the answers to most of the big questions and the identity of the killer. All that’s left now is to know their motivations. Nothing has changed from the first two episodes, although I did upgrade my video card between playing episode two and episode three, which made for a much smoother run on my part (I only had on-board graphics before). 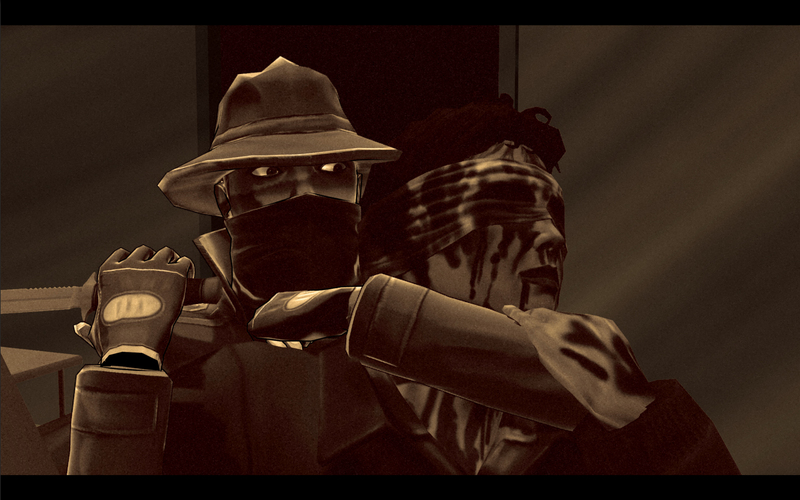 Most of the game is done in a slightly cel-shaded style, with cutscenes in a hand-drawn/comic book style. The subtitles are also done comic-book style (in colored rectangles). 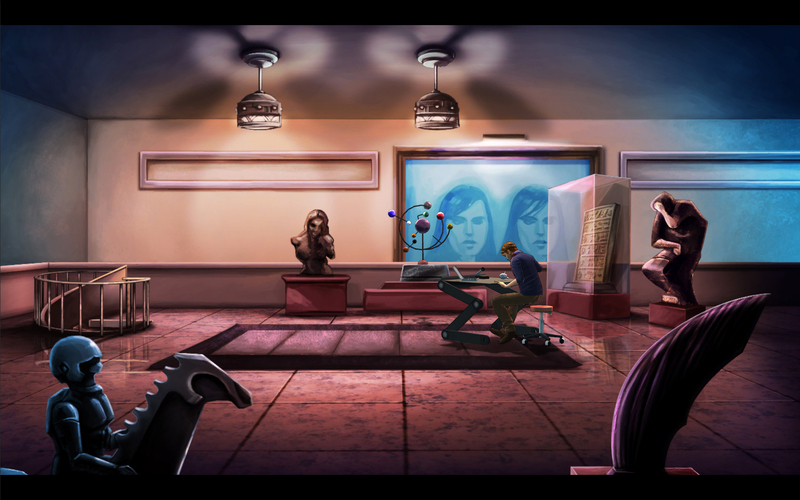 I really like the look of the Cognition series. This episode was not as graphically violent as the other two, but there were still some moments where I was cringing. The graphical style allows for disturbing violence, but it never crosses into grotesque, over-the-top territory. The characters have retained their sometimes awkward walks from the first two episodes, but it doesn’t seem to happen as much here. The music is not as prominent as in the first two games and, again, the choral pieces are absolutely fantastic. The one used here has been used in both of the other episodes, and it is still just as hauntingly beautiful. I continue to enjoy the regular voice actors, although the three new characters who are introduced in this episode sometimes took me out of the game – one can sometimes sound robotic, even sounding like a different person in different areas of the game, and two of the others occasionally overact. 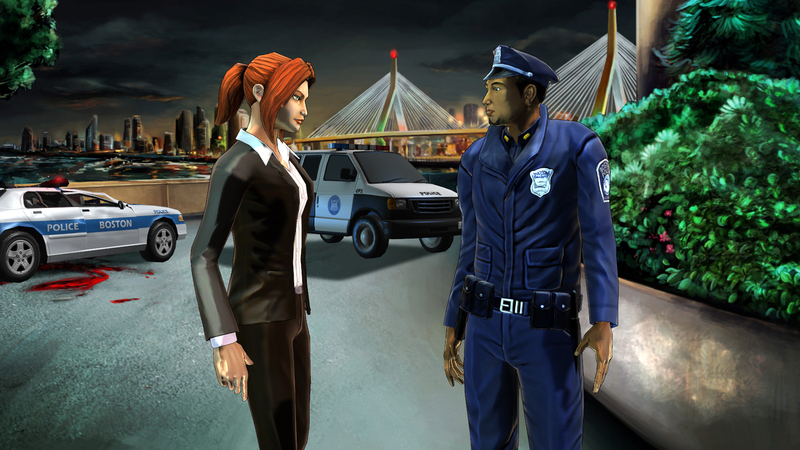 I still love listening to Erica’s Bostonian accent – I wish more of the Boston-based characters had it, however. Gameplay has remained largely unchanged from the first two episodes. 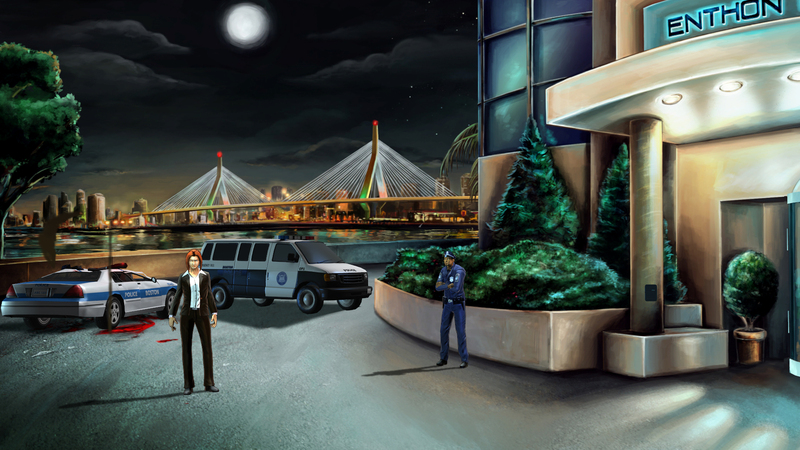 The Oracle is still a point-and-click adventure game. However, there have been some new additions to what you are able to do as Erica. You are also restricted to a solitary building, so you never have to travel via the map (something that could get tedious in the first two chapters). About half of this episode is spent playing the killer. You find out who this is before the prologue ends, but it is incredibly shocking, so I will not spoil it. The killer is also a psion like Erica, but they can only see the future; the powers of Erica and the killer can be combined, and you end up working together to solve puzzles. The way this works reminds me of time turner physics in Harry Potter: for example, the killer needs to know the score of a football game to proceed. Erica looks up what the score was on her phone, and then because Erica knows it, the killer knows it too. However, if Erica didn’t exist or was unable/unwilling to help, then the killer could never have moved forward in the killer’s own life during the killer’s own time. It’s very intricate, but it works extremely well and adds to the supernatural/science-fiction quality of the game. Cognition has always felt to me like a cop story first and a supernatural story second – the writers don’t seem to use the supernatural aspects as a crutch or a deus ex machina. It’s just another tool that Erica uses to solve crime. Some of the puzzle solutions had me a little perplexed. Sometimes I felt like I didn’t have enough information to get to where I was supposed to be, and sometimes memories were encountered out of order. On the other hand, I really enjoyed most of the puzzles, especially the lengthy piecing together of memories using both pre- and post-cognition. There is also a fun puzzle involving found evidence and paintings that falls together nicely. Something I have to mention: on two occasions, Erica and the killer are both able to put something huge in their inventory. This is pretty much the only thing that broke the realism – how the hell does Erica fit an entire traffic cone in her back pocket? This is a time-honored tradition in adventure games, however…consider Guybrush fitting a bloodhound in his coat. The story of The Oracle is the most gripping and suspenseful of the series so far, but it seems very short compared to the first two episodes, and a few of the puzzles take liberties with logical thinking. However, the writing and the mostly clever puzzles outweigh these two complaints. I absolutely cannot wait for the conclusion of the series, The Cain Killer. You can get The Oracle on the official site and seven other online stores. Vote for the series on Steam Greenlight here. Find Phoenix Online Studios on their official site, Facebook, Twitter, and YouTube.